Today, Tenba is announcing the Cooper line of bags. 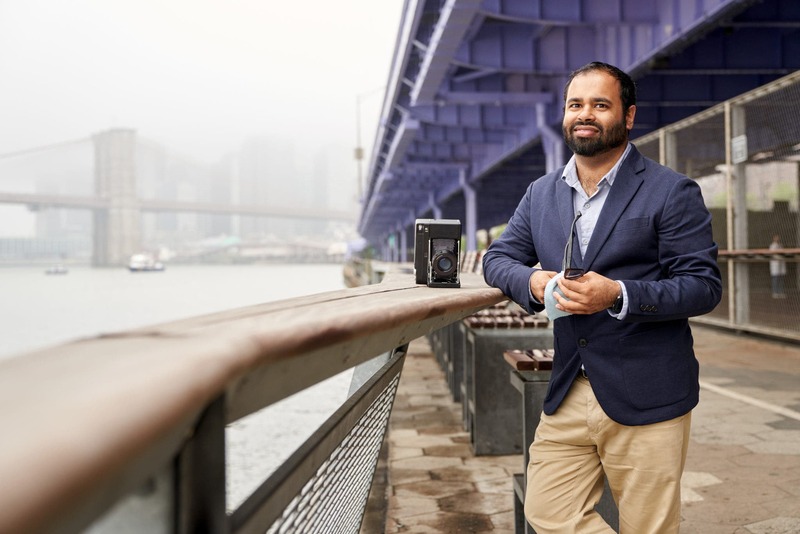 The company, which has been well-known and loved by photojournalists for years, has created this brand new line designed for the photojournalist on the go and that carries their gear but wants to be inconspicuous with it. 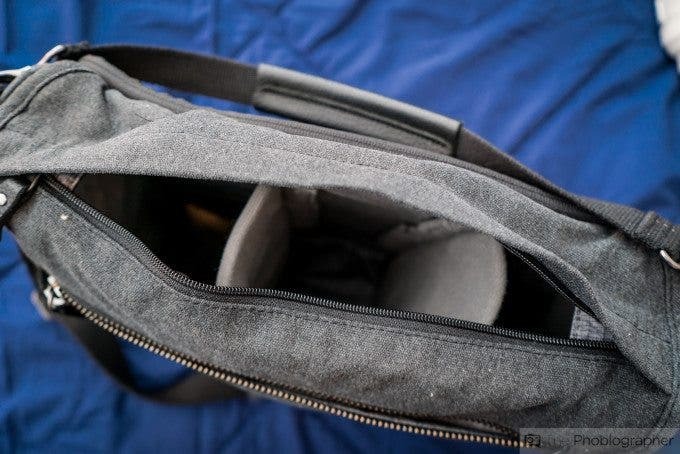 For the past couple of years, I’ve been really, really frustrated with camera bags. They do their job and for the most part many of them do it well. But the inherent problem is getting one just the right size for the tight confines of the NYC commute, making it stylish, and also balancing that aspect with being low profile enough to make someone think that I’m not carrying camera gear. 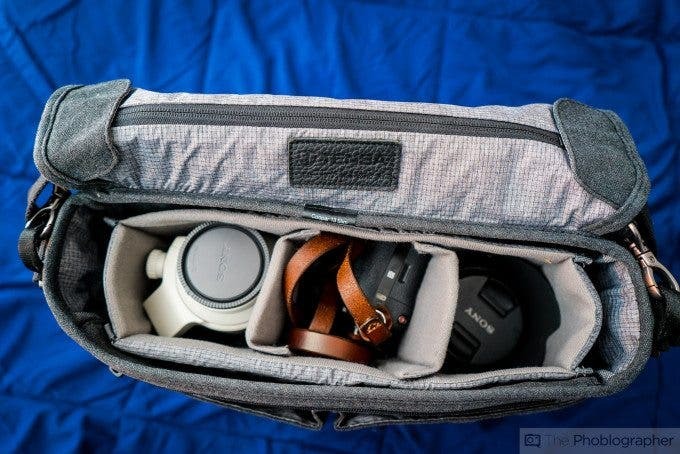 I never want someone to know that I’m carrying a camera bag, but at the same time, I want an attractive and stylish camera bag–and from emails, I know many of you do, too. It’s important to me: I’m a business owner, I’m a photographer, I lead photo walks, and sometimes I just want something to hold all the stuff I’ve got but in a small package and without being too large. For what’s been over a year now, Pete Waisnor at Tenba told me that he was working on something like this. The DNA Messenger bag line was a step in the right direction for commuters, but they weren’t really stylish. However, it nailed the mark on reliability and functionality–especially for bikers. Now if only they could make it smaller and more stylish. During the past two months, I’ve been testing the Cooper 13″ Slim–wearing it amongst other journalists and photographer who are always checking out my gear, bringing it with me to shoots, and even toting it around at Photo Plus Expo–a Mecca for us photo nerds. 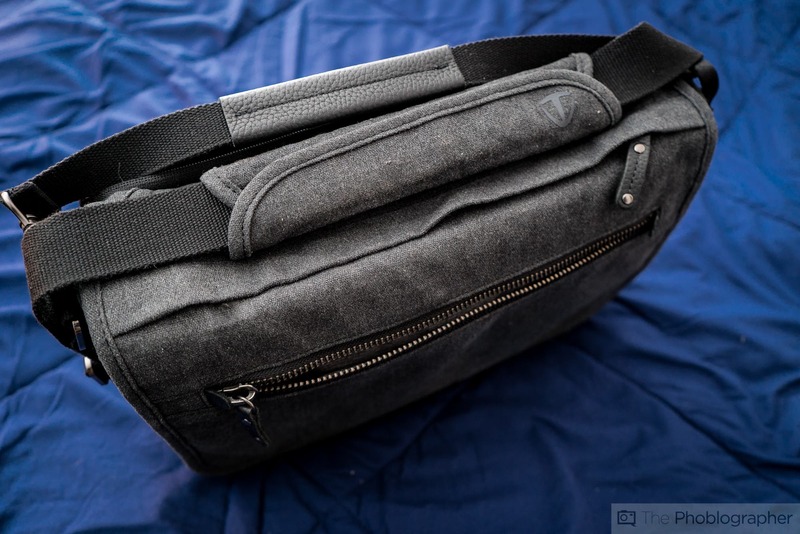 And when it comes to a small messenger bag, I genuinely think that Tenba has nailed it here. I’d love a leather version, or more leather accents. But I also understand this is tough to do with the top zipper. We tested the Tenba Cooper with the Sony A7, Sony 35mm f2.8, Sony A7s Mk II, Sony 28-70mm f3.5-5.6, Sony 70-200mm f4 OSS, Adorama Flashpoint LiOn flash, the Apple MacBook Pro 13-inch, and the Apple iPad Air 2. We’ll fill this in when we get more info! The Tenba Cooper is a bag that balances elegance, style, functionality, and inconspicuousness. We start this review with the front of the bag–where we see a full grain leather bottom, soft cotton/canvas on the exterior, a shoulder strap with ample padding, low profile Tenba logos, and a front zipper in case you want to store something small. This shoulder pad is incredibly comfortable. Move to the top and you’ll find a zipper that allows quick access to the gear on the inside. For the record, I never really used it but I understand that lots of Tenba users love these. You’ll also find a handle that lets you carry the bag like a suitcase–which I often found myself doing. Inside, what you’ll find is a lining that is weather proof. Tenba decided that rather than messing up the look and feel of the exterior with a heavy wax treatment, they’d rather put the weather resistance underneath to keep your gear safe. Inside, you’ll find an entire holding section for your gear. This section can be removed and the bag can turn into a regular work bag. However, I did a bit of both during my testing since, well, it’s my job to do this kind of stuff. Besides all of this that you see above, I’ve put flashes, shotgun mics, Arctic Butterflies, and at one point my Canon 6D in here. It works out very well. 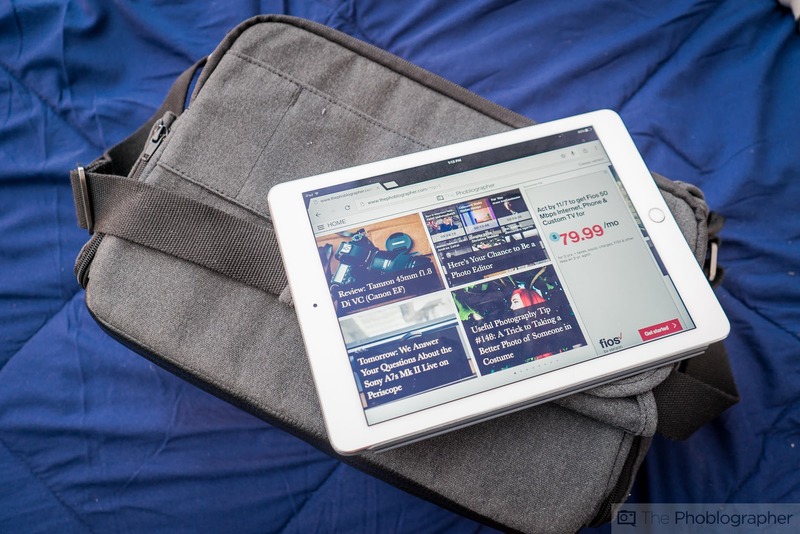 In fact, I stuck my 13-inch MacBook Pro and my iPad Air 2 into this slot with my camera, lenses and flash in there and the package still kept slim. The front section also has two pockets that can be used for SD cards, hand sanitizer, Advil, etc. Those pockets are more easily seen in the opening image for this story. Move to the back of the Tenba Cooper 13″ slim and what you’ll find is another pocket. You can put lots of stuff in here, but for the most part I kept it to press material and papers that I got while in meetings. 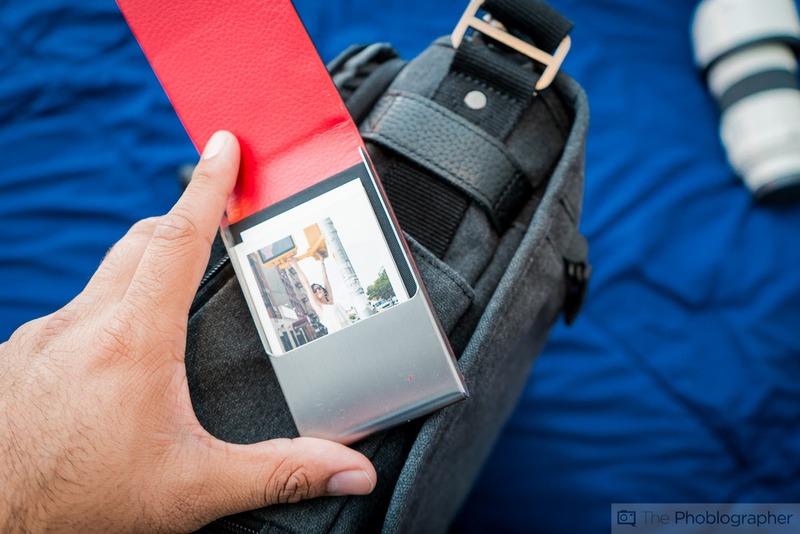 Move to the side and what you’ll find are pockets–one on each side that can secure a business card holder, phone, or other slim objects you may have. There is also a leather strap to hold something closer like the Peak Design CAPTURELens, which was also tested with this bag. These pockets can expand, and I can actually fit my fist into them. A heck of a lot of work went into the construction of these bags, and it clearly shows. It’s got leather trim, weather sealing inside, a soft to the touch feel, and can accommodate lots of mirrorless camera gear. I honestly don’t have a single complaint about this bag’s build quality as not a single piece of it feels cheaply built. What I should also mention is that Tenba is also integrating something else into this bag: it’s called Quiet Velcro. While it isn’t completely silent, it’s quieter than normal velcro. Of course, it’s a camera bag and you don’t expect it to be difficult to use. In fact, it isn’t at all and in some ways the bag is revolutionary. It’s got inside pockets, a front pocket, a back pocket, dividers inside, space inside and side pockets. Plus it has a great shoulder strap. None of that by far is revolutionary, but what is is the fact that if you’ve met me or seen me in the past two months, you probably didn’t realize that I had a brand new camera bag that wasn’t announced yet. That alone is a major testament to the fact that Tenba created something very low profile and beautiful. I’m always being hounded about what strap I’m using, what lenses I’ve got, what bags I have, and it’s nice to not have something that says “Look at me” but instead carries with it a quiet sense of beauty, elegance, and excellence. 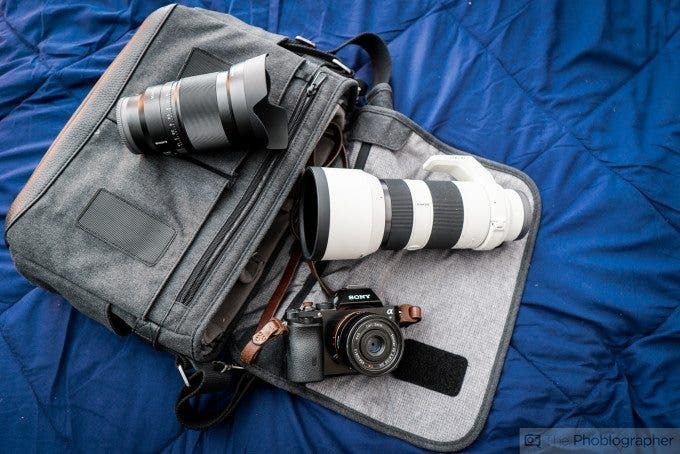 This is a bag designed for the photographer who won’t overpack, but will instead bring just the right amount of gear–if they’re a mirrorless shooter or a DSLR shooter that brings one or two lenses, a laptop, and smaller things. It works out very well, is lightweight, comfortable, etc. Again though, what I’m really amazed by the most is that absolutely no one asked about it and they probably then didn’t even believe it to be a camera bag. To a photographer, that’s the most important thing of all. For the past couple of years, I’ve been in search of my own camera bag that really suits me and my needs. I’ve spent hours on Amazon looking for cheap leather or canvas bags that I could modify myself to become a camera bag, and no one has really gotten it just right. The closest company for years was ONA, but even then they didn’t quite make it. At one point, I ever considered approaching a company about building a bag. 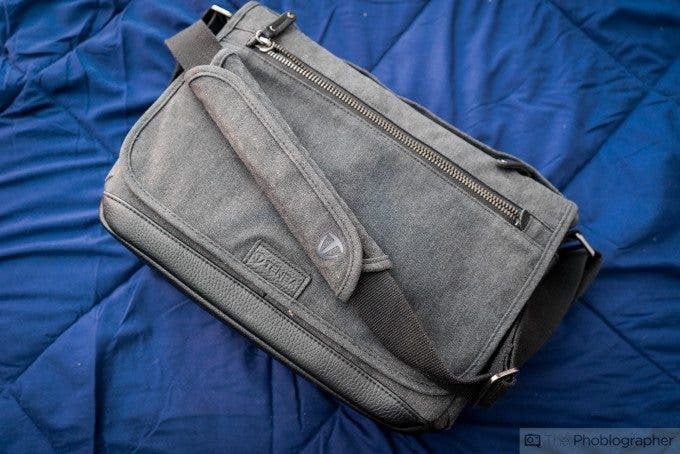 When it comes to a messenger style camera bag designed for the working pro using mirrorless camera gear, this is the only camera bag that you’ll ever need. Again, it’s stylish, comfortable, low profile, and it gets the job done. Though I may not carry it around when using lots of DSLR gear, most of my kit is mirrorless and for that this bag will always remain close to me and will constantly be reached for. For the first time in the site’s history, we’re awarding an Editor’s Choice award to a camera bag. 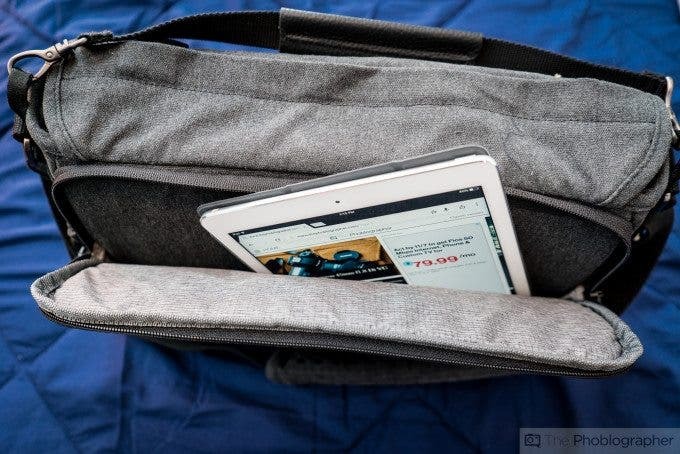 With that said, the Tenba Cooper 13″ Slim messenger bag receives five out of five stars and the company’s Editor’s Choice award. When it hits the market, it will cost $249.95.